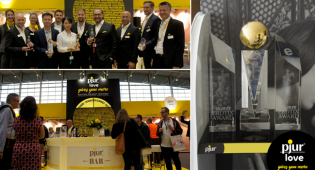 FLENSBURG, Germany – Between two major European distribution deals for North American products and wins in three Erotix Awards categories during the eroFame trade show, Orion Wholesale, a division of Orion Versand GmbH & Co, had a busy October. 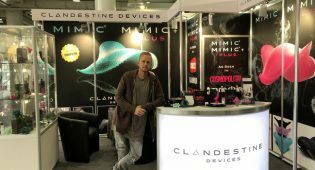 The most recent distribution deal will see the Liberator line of Bedroom Adventure Gear invade Europe after Orion and Atlanta, Georgia-based Liberator Inc. signed a pact shortly after meeting at eroFame in Hanover, Germany. An Orion spokesman said Liberator’s new eco-friendly packaging was only one of the aspects of the line that attracted Orion’s attention during the trade show. The packaging is expected to lower inbound shipping costs and reduce retailer display and storage requirements due to a novel process that employs vacuum compression technology to remove 98 percent of the air from Liberator’s foam-based positioning shapes. Consequently, new point-of-purchase packaging is 60 percent smaller than the previous incarnation. “We are delighted with this new deal and look forward to helping Liberator develop new channels of distribution in Europe while bringing our customers this whole new category of innovative products,” said Orion’s Sven Jacobsen. Orion also picked up three Erotix Awards during eroFame: Wholesale Company of the Year, Best New Productline – Category Lingerie for the company’s Deluxe by Mandy Mystery line, and Best Marketing B2C [business-to-consumer] Campaign for Orion’s customer-focused magazine Modern Emotion. In early October, Orion signed a European distribution deal for Montreal-based BodiSpa Inc.’s signature line of personal massagers. For more information and product catalogs, visit Orion-grosshandel.com, email H. Christianson or call 0461 5040 210.